Betting on You is a light an easy read based on second chance romance. This is not much to say about this book because i is the same old story of two lovers breaking up when they were younger only to realize later on life that their perfect life partner is the one whose heart they broke many years ago. There is nothing special or unique about this story or the characters which resulted in the reader not being able to connect with the characters. Lark was not strong enough to stand her ground because she forgave Mason way to easily. Mason was the typical man who believed that even after breaking someones heart that he could return and say sorry and everything will then go back to the way it was in the past. The chemistry between Lark and Mason was okay, but nothing spectacular. Overall this was an average book that can be read to pass time, but I would like to read the next book as I am looking forward to discovering what is the story with Aria and Nash. Lark March believes she has gotten over Mason Stewart and the horrible thing he did to break her heart four years ago, that is until she sees him at her best friends wedding. Mason looks even better and talks even sweeter than before, and Lark realizes that he still affects her badly. Mason Stewart had a bad childhood, which affected him when he was a young man, now four years later he has returned after sorting out his issues, to get the only women he has loved. 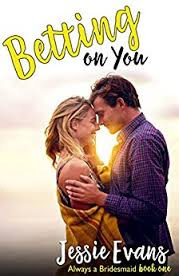 He manages to convince Lark to give him seven dates to show her why they belong together, at the end of the week Lark might kick him out of her life forever, but his is betting that true love will win. Through Larks meddling sisters an old secret comes to light and Mason and Lark's love is tested all over again, will they be able to get their happily ever after?